It is true - most people decide to renovate their kitchen to increase the value of the home. It is, after all, the best way to boost your investment. The second way? Renovate your bathroom. You and your family spend a lot of time in that little room. And you can be certain that potential buyers are going to be taking an extra good look around. People are expecting bigger, more luxurious bathrooms now more than ever before. 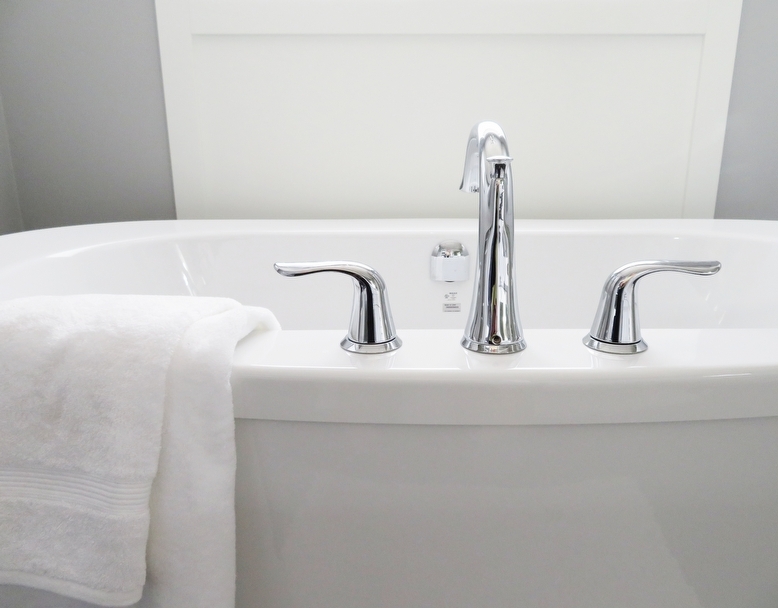 Here are a few ways you can get the most bang for your buck when it comes to renovating your bathroom. You certainly want to optimize the functionality of the space, especially if it is a smaller room size you are dealing with. If you can, avoid having the vanity right beside the bathtub. It makes space appear smaller than it is. There is also potential for water damage if they are too close. A trick for extending the space if you don’t have a lot of room to work with is to have the mirror above the sink go right to the ceiling. Don’t separate the bathtub and shower unless you’ve got a lot of extra room to deal with. As of late, it has been very popular for people to switch out their bathtub for a walk-in shower. While they look lovely with their long glass doors and beautifully laid out tile, they are not a good idea for resale value; especially if that is the only bathroom with a tub. If there is no bathtub in the main washroom, you may have just ruled out families as potential buyers. Adding a second sink to your largest bathroom is an excellent idea, especially if it is a master ensuite. A second sink immediately makes a bathroom feel luxurious. It is also very functional as it allows two people to get ready at the same time. Because there are already drains in place, adding a second sink is not nearly as costly as one might think. An above counter decor sink turns your bathroom vanity into a sculpture, and again, they are not that expensive to install. A leaky faucet or showerhead is likely to turn off a potential home buyer. And replacing them will give your bathroom an instant facelift. You want your fixtures to match the faucets and showerheads. Today's showerheads come in so many different varieties and offer very luxurious settings. If you can see the showerhead when you walk into the bathroom, this would be an area to splurge. To get more home selling tips or to find what is happening in the Miami real estate market, contact Miami real estate agent, Carla Oliva today.